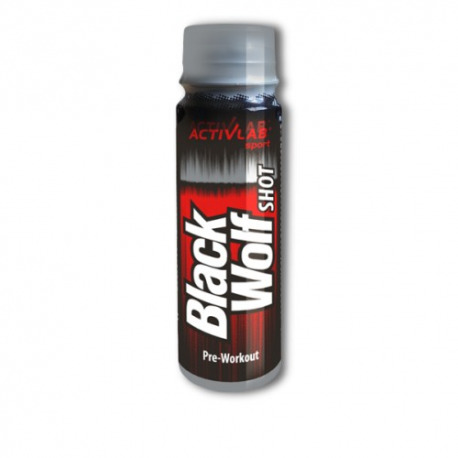 BLACK WOLF SHOT Food supplement. Contains sweeteners. Pre-workout formulation in liquid form. 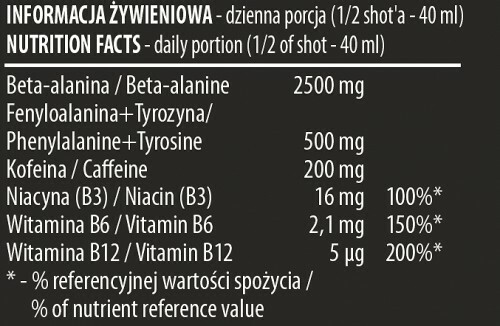 RECOMMENDED DAILY PORTION: 1/2 of shot (40 ml) before training. Shake well before use. The product contains 2 portions. After opening keep refrigerated and use within 48 hours. Do not exceed recommended daily portion. Food supplements should not be used as a substitute for a varied diet. Attention: High caffeine content (500 mg/100 ml); not recommended for children or pregnant or breast-feeding women. 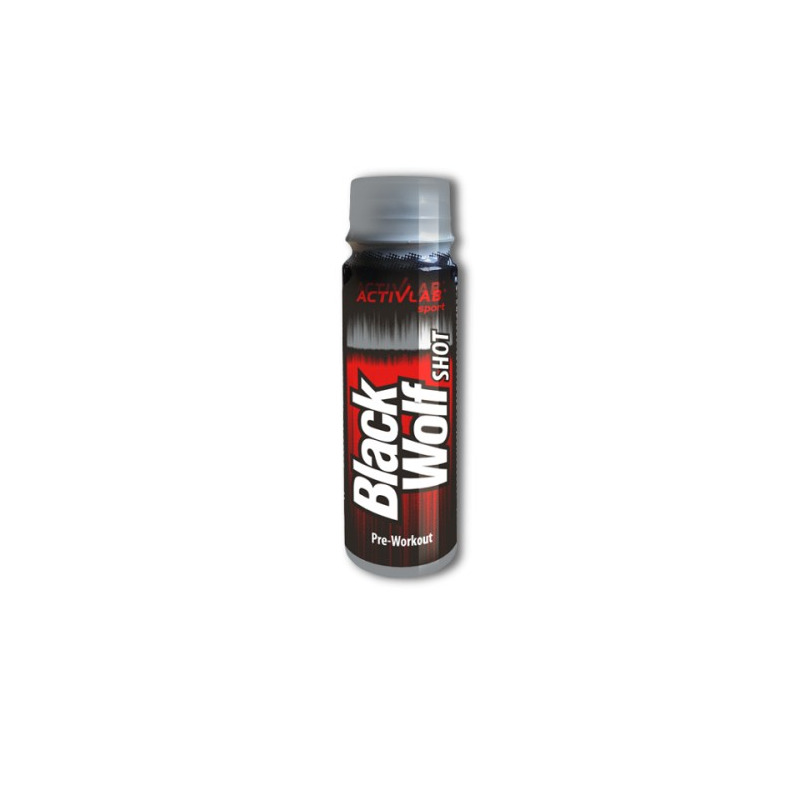 INGREDIENTS: water, beta-alanine, aromatic aminoacids (L-phenylalanine, L-tyrosine), caffeine, acidity regulators (citric acid, sodium citrate), fruit juices concentrates, flavour, vitamins (nicotinamide, pyridoxine hydrochloride, cyanocobalamin), sweeteners (acesulfame K, sucralose), preservatives (sorbic acid, benzoic acid), colourant (Allura red AC). May contain derivatives of cereals containing gluten, crustaceans, eggs, fish, soybeans, milk, celery, mustard seeds. BEST BEFORE: Date and batch number on the packaging. STORAGE: Store at room temperature, in a dry place, in a sealed container, far from the reach of young children.